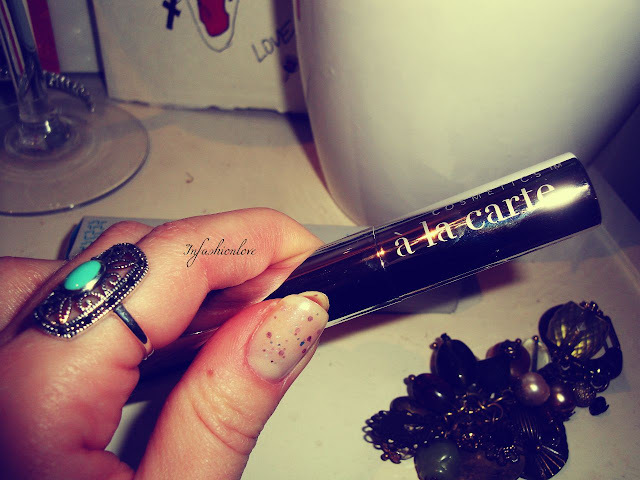 INFASHIONLOVE.COM: A La Carte Cosmetics Divine Lash Mascara! Another fantastic discovery! I adore volumising mascaras but end up not wearing them if they are hard to take off, I have absolutely no patience for that, nor can I stand a mascara build-up, it's the worst thing ever... At the same time I like them to be smudge-proof as otherwise they tend to transfer on me... 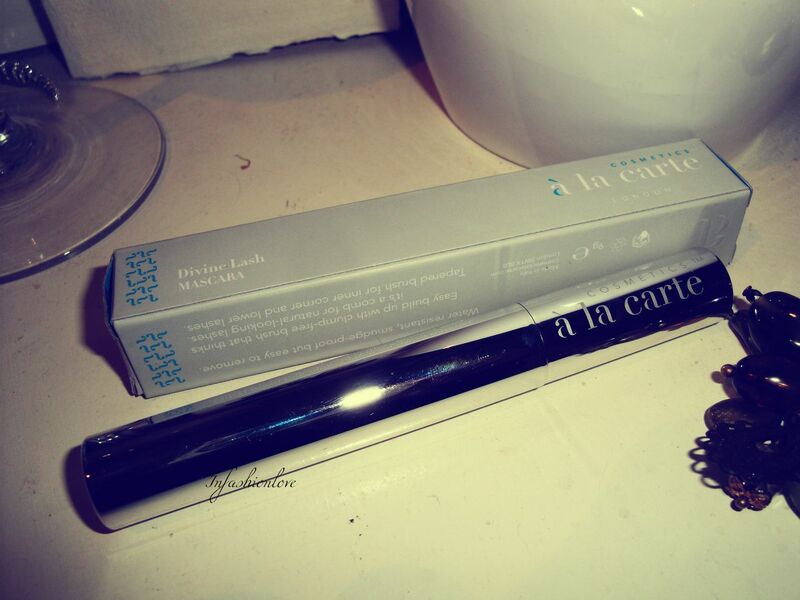 Hence finding the perfect mascara is not an easy job, and that's why I love this mascara! It's water resistant, smudge-proof yet comes off with great ease, which I thought was a mission impossible... 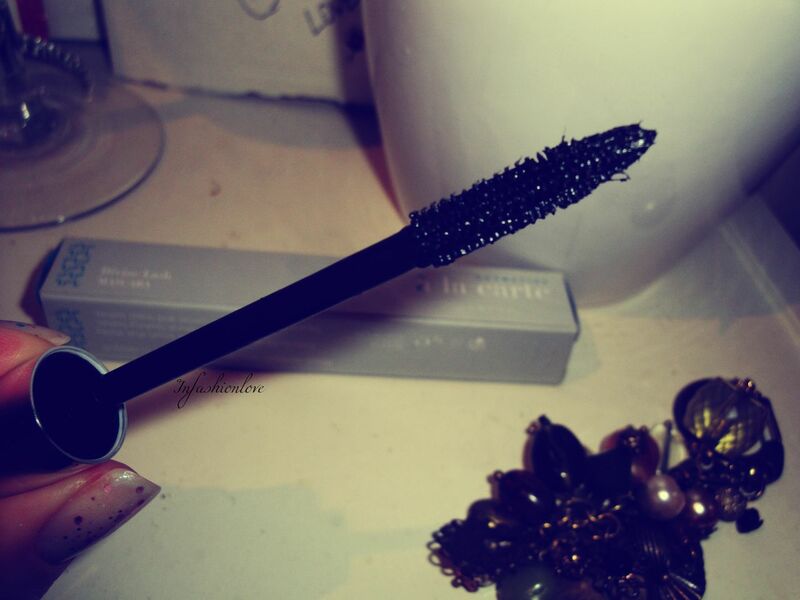 The texture is quite thick and creamy creating great volume, which can also be build up with the clump-free brush that acts like a comb, leaving lashes looking natural... 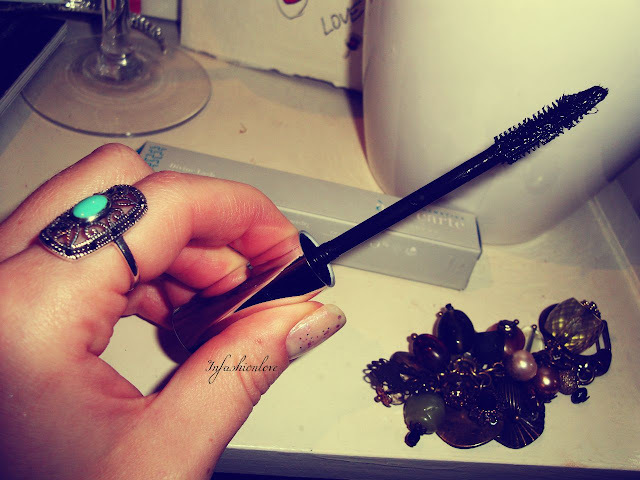 It's one of those plastic brushes and I love the shape that allows me to also do my lower lashes... It's the first regular mascara in history that I can also wear on my lower lashes, the only mascara that did not transfer on me is the Clinique Bottom Lash Mascara, which is btw harder to take off then this one... So yeh thumbs up!